Tokyo holds the status of most populous metropolitan area in the world--a fact you'll find tangible as you walk the bustling streets and explore its diverse neighborhoods and cultures. During a trip to Tokyo, visitors should seek out both the bustle--like the pulsing nightlife in Shinjuku or the world-famous multidirectional intersection in Shibuya--and the calm--like the soft pink cherry blossoms in Ueno and the quiet order of an urban teahouse. 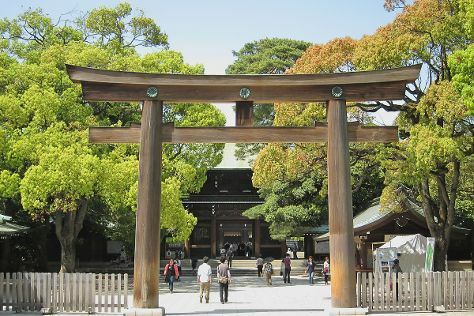 Among the most popular attractions in Tokyo are the medieval shrines and temples, the sprawling public parks replete with traditional landscaped gardens, and the soaring skyscrapers and radio towers whose observation decks look out over a dazzling city, day and night. Tokyo is in Tokyo Prefecture. Our Japan trip planner allows you to schedule your trip to Tokyo, learn about its attractions, and find out about where else to go during your holiday.